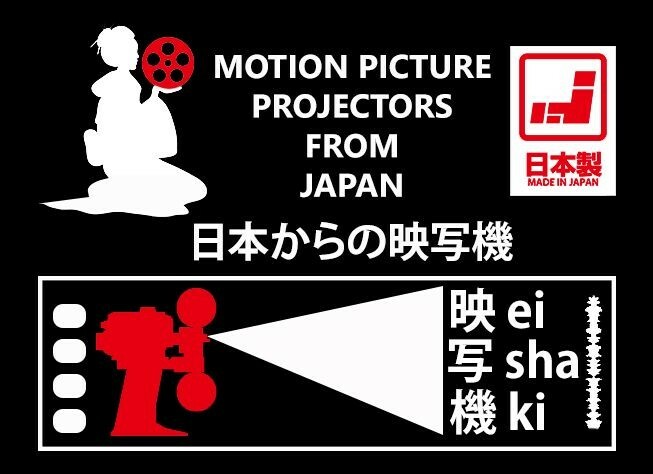 The Central (later Fuji Central), Tokiwa and CINEFORWARD standard projectors all are based on the Central F-1 system. In fact, the Central F-1 system was a partial copy of the AEG Euro-M2 system. They have added minor modifications by time. This central framing system enables to sync between the intermittent movement (8) and cam (3) position while the movement turns (in either direction) by the framing knob, thus keeping the position of the starwheel (13) and cam the same. For this reason, there is no need for compensating the shutter, too, e.g. eliminating the out-of-phase on screen (travel ghost/image smear). The fork 7 is not seen (see above figure). The knob should be always in the middle position, so that, in case of need, it could quickly move up and down the framing mechanism. The thrust washer 1 (O-ring) is unified with the starwheel and machined together with starwheel, as well as the diameter of the part 2 between that washer and wheel is rounded and made larger in later modification. This system is based on keeping the starwheel and cam position exactly the same while framing, so no shutter out-of-phase occurs. The entire intermittent mechanism rotates around the center line of the starwheel. When the framing knob is turned, the intermittent movement turns the same way, so the connected A gears move and the adjust rack (fork) goes up-and-down according to the direction, the adjust rack moves the connected B gears, by doing this, every movement, that the intermittent movement does, is transferred to the position of the starwheel and cam precisely in-sync. The gear locating in the midst of the fork is an intermittent drive helical gear with keyway. This is one of the central framing systems. Some spare parts seen for VAVISION projectors made by VISION SYSTEM CO., LTD., the agent of Tokiwa in S. Korea. These have exactly the same specifications as the ones actually found in Tokiwa TSS and TSR heads. VAVISION projectors were based on the imported TSR model with minor differences. The cylindrical drum shutters were fitted in TSS and TSR series until 1985. The cylindrical drum shutters were replaced with the conical ones in 1985. For more detailed engineering information, please visit the Common Central Framing Mechanism Forms of Chinese Film Projectors.